Excuse the humble brag, but the Philippines is surely a beautiful country. There’s a reason why our national hero called it the “Pearl of the Orient Seas.” Despite its modest size, the archipelago is home to diverse cultures and countless natural treasures. When planning a holiday in any of its 7,000+ islands, vacationers are often met with images that are nothing short of a tropical paradise. Think picture-perfect beaches with mesmerising cerulean waters and landscapes dotted with lush greenery. The island of Coron in Palawan province is one such place. Whether you’re looking to lounge around or marvel at sites on foot and underwater, Coron Island presents you with endless possibilities. Here’s our best Coron guide with everything you need to know before your trip. The easiest and fastest way to reach Coron is by flying to the Francisco B. Reyes Airport (formerly Busuanga Airport) in Busuanga. Direct flights from the Ninoy Aquino International Airport in Manila to Busuanga in Palawan usually take an hour. Airlines that fly the Manila-Busuanga route are Skyjet, Cebu Pacific, and Philippine Airlines. From Busuanga, the drive to Coron town proper is about 30 to 45 minutes. 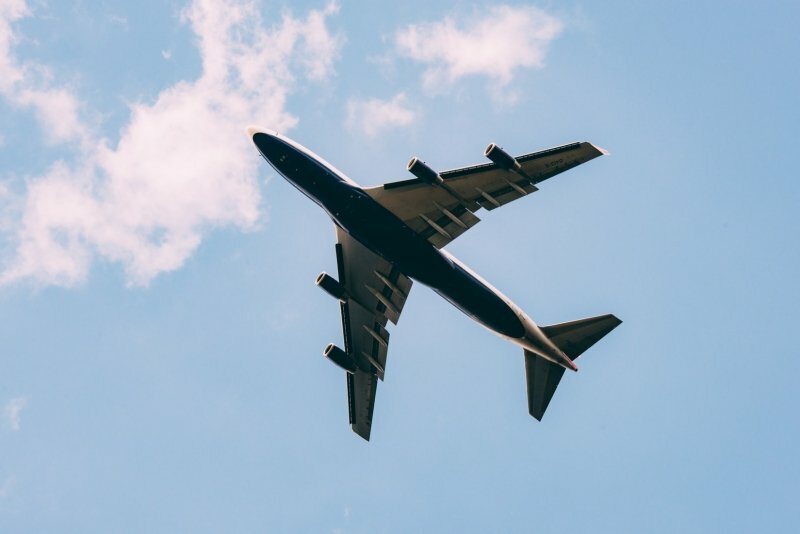 If you put a premium on convenience, then perhaps the best option is to choose a hotel that will take care of your airport transfer. Club Paradise Palawan offers all guests who book a stay with them a shuttle service going to the Decalachao Port where the resort’s private boat waits to ferry them to the secluded 19-hectare island. And when we say paradise, we mean it in a literal sense. Award-winning resort Club Paradise Palawan is nestled within the Palawan Biosphere Reserve. Last year, it bagged two titles at the World Luxury Hotel Awards. Adding another feather to its cap, Club Paradise Palawan is again in the running at the awards’ 2018 edition under the categories Luxury Wedding Destination, Luxury Family Beach Resort, and Luxury Private Island Resort . It sits comfortably on an island surrounded by the Edenic features of a site protected by the UNESCO Man and the Biosphere Programme. One can only then imagine the spectacular sights and rare species that call the area home. And for your Coron getaway, we highly recommend making Club Paradise Palawan your luxurious home away from home, too. 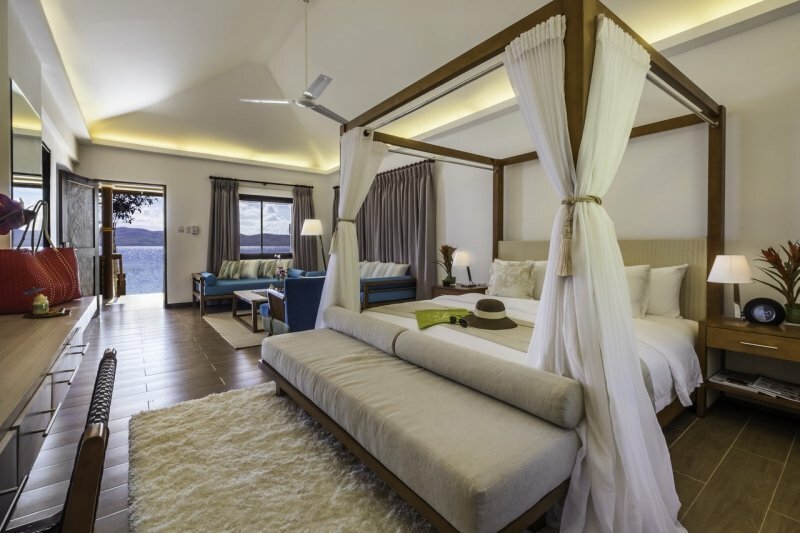 So what’s it like staying at Coron’s prize-winning accommodations? Comfortable is an understatement. Choosing Club Paradise Palawan means staying in spacious, tastefully furnished suites that are as homey as they are luxe. 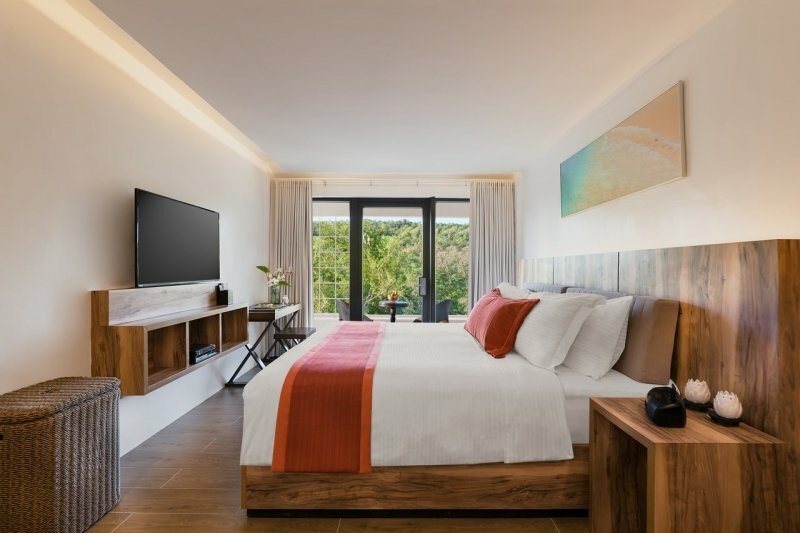 Each room comes with a view that showcases the island’s beauty and biodiversity. With the Sunset and Sunrise Villas, guests get the beach at their doorstep. Immediate access to the sea is but a distant dream for some beachcombers. Club Paradise Palawan makes this an instant reality. The Sunset Villa makes for an extra special stay, though — it’s located on a private beach. How’s that for an intimate affair? Perfect for a romantic sojourn or even some well-deserved me time. The Garden View Room also offers accessibility to the nearby Sunrise Beach, which is just a stone’s throw away. The Garden Suite, on the other hand, allows guests to steep themselves in the restorative energies of tropical shrubbery. Imagine waking up to the wind blowing in your hair and the sound of birds chirping away. There’s nothing quite like seeing nature at its best. If you’re planning a trip soon, Club Paradise Palawan’s My Coron Getaway promo is a treat you wouldn’t want to miss. For a limited time only, you can book the Garden Suite at special rates that start at ₱10,500 ++ (roughly US$200) per night. 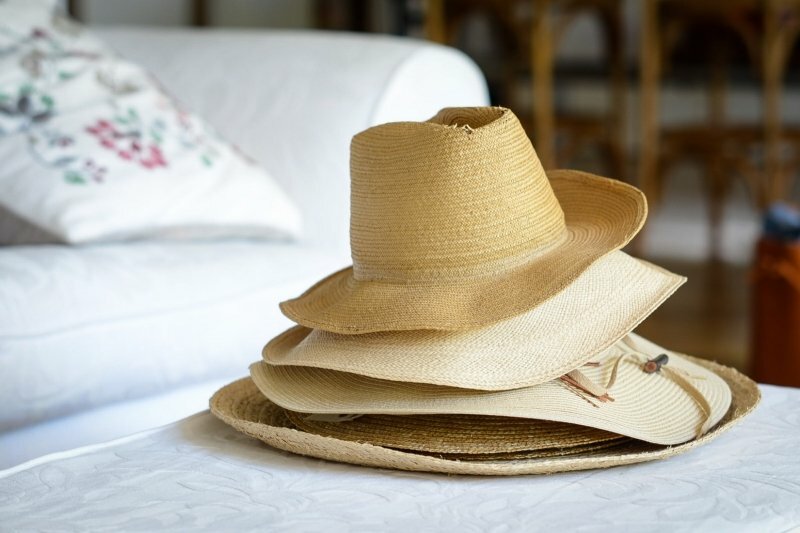 Being billeted in the Garden Suite will also come with free round trip airport transfers and complimentary breakfast at the resort’s Firefish Restaurant. If you book a stay in September, you’ll also receive complimentary food and beverage or spa credits worth ₱1,000 (around US$20) per stay. That’s a steal, considering that Club Paradise Palawan is also known for a wellness facility called Glow Spa. 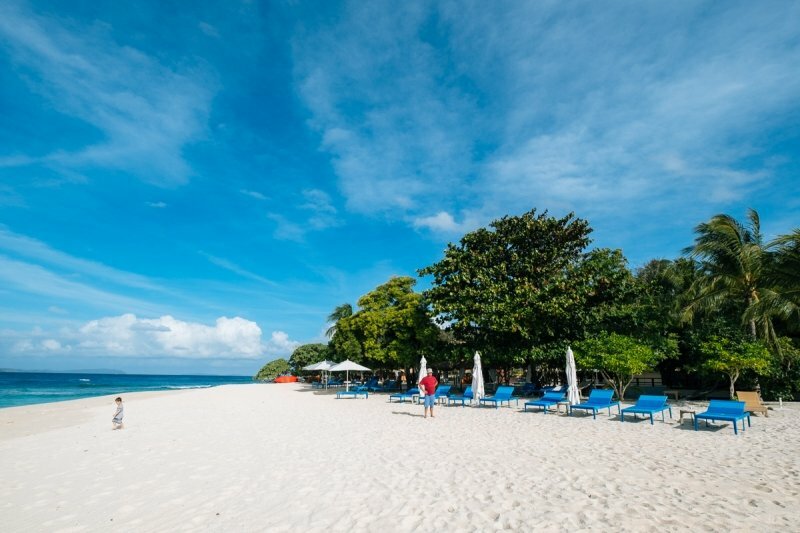 Read more about Club Paradise Palawan on TripZillaSTAYS. 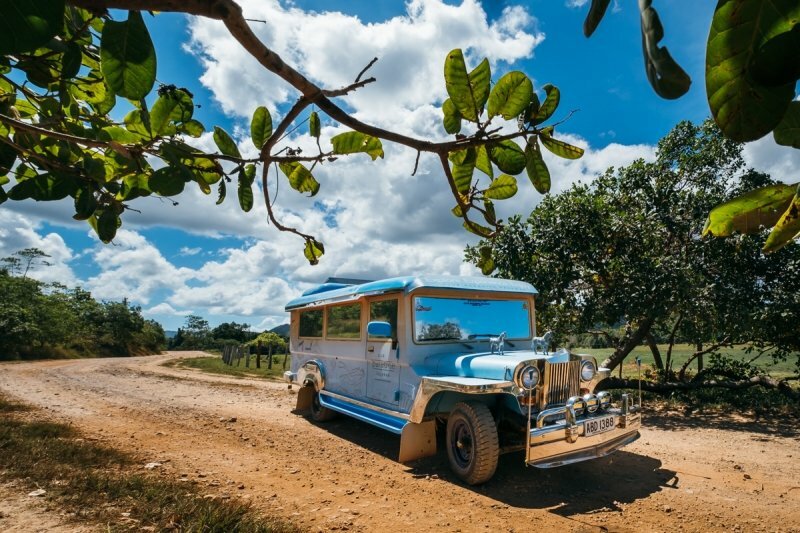 Now that you know the luxuries that await you at this sanctuary deep in the tropics, it’s time to discover what else you can do in the area. Surrounded by pristine waters teeming with marine life, Coron is the perfect place for underwater exploration. Seasoned divers can throw on their scuba gear and check out World War II shipwrecks such as the Kyokuzan Maru and the Okikawa Maru. There are 12 that have been discovered so far. But those who prefer snorkelling will have a grand time swimming along any of Coron’s many coral gardens. Club Paradise Palawan boasts of its own house reefs, which have been protected for the past years. It also has a diving school and shop called Club Paradise Divers . 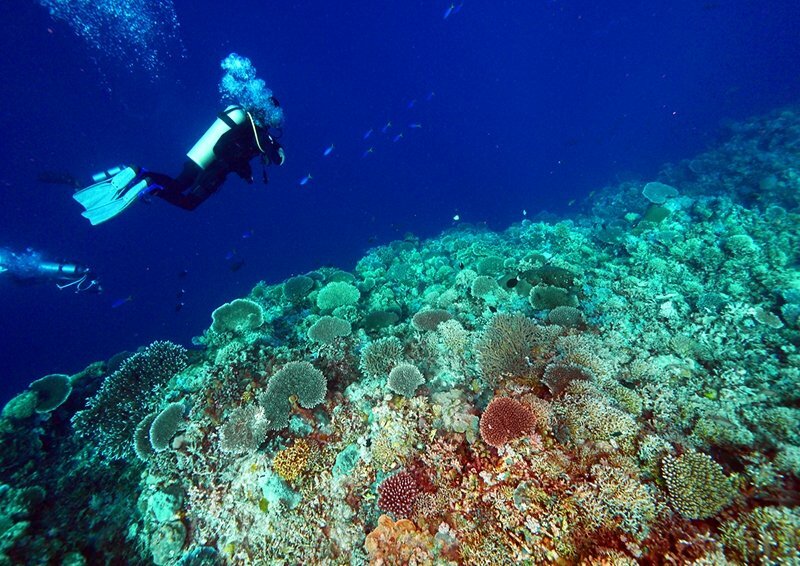 You can even go all-out by heading to Apo Reef National Marine Park for a full day of scuba diving. For a hassle-free diving aquaventure, avail of Club Paradise Palawan’s Awesome Coron Diving package . 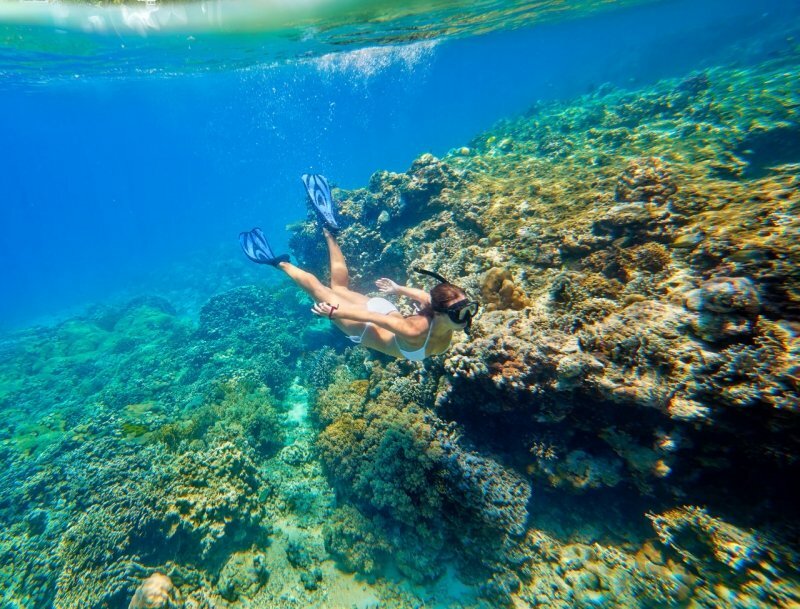 The guided underwater tour offers two beach dives and four boat dives with complimentary breakfast, full board meals, and round trip airport transfers. You can also opt to exchange two dives for Dugong Watching. The package comes with a stay in the Garden Suite and rates start at ₱19,725 ++ (around US$370) per night. 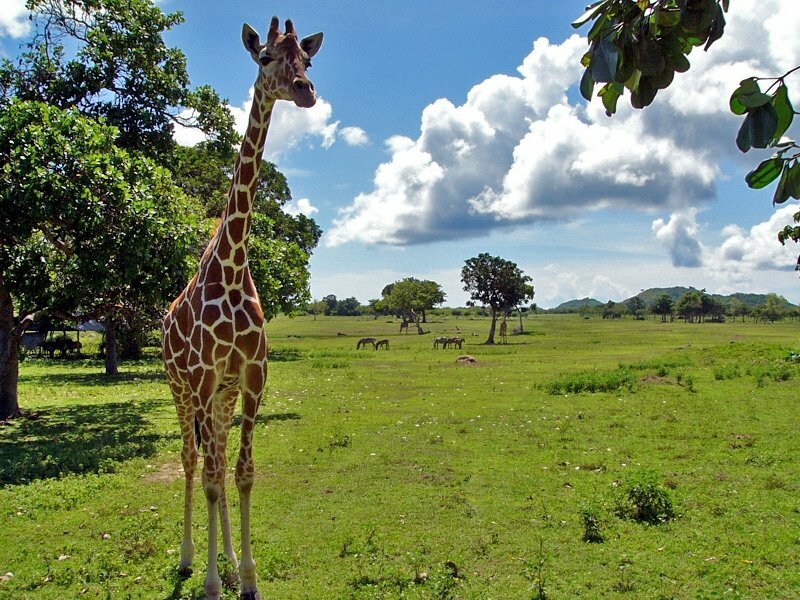 Observe animals grazing and frolicking about at the Calauit Safari Park. 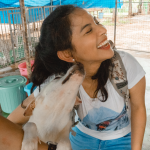 Its 3,700 hectares are dedicated to the critters that call the island-sanctuary home. Not only does it house flora and fauna endemic to Palawan, it’s also a haven for several African species. Tour guides will happily share insights on conservation if you’re keen on learning about ways to protect our environment. 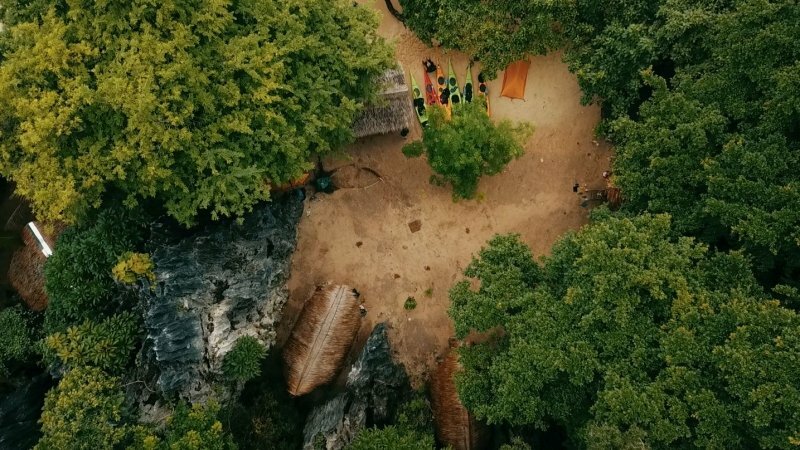 Not many know that the land on which most of the area’s tourist go-tos stand are the ancestral domains of the Tagbanua, Coron’s indigenous people. Travel hubs like Red Carabao Coron allow a controlled number of visitors to visit the Tagbanua community and immerse in its culture for a day. Coron is known for beaches with long stretches of fine, white sand. But it’s also famous for its azure waters. If you’ve had your fill of the ocean, fret not. There are still other bodies of water that you must visit. Kayangan Lake’s crystal-clear waters are surrounded by untouched mountain walls that make for a picturesque scene. Most tourists are terrified when they find out that Barracuda Lake is, in fact, filled with barracuda. But don’t worry, they won’t bother visitors wading in the surface. When you’re done visiting the two lakes, drop by the Twin Lagoons. Keep in mind, though, that Kayangan Lake and the Twin Lagoons are considered sacred ground by the Tagbanua, so treat the land with utmost respect. Those who prefer inland outdoorsy fun need not feel left out. Mt. Tapyas’ 700+ steps is yours for the taking. You’re rewarded with a scenic view of Coron once you reach the top. A relaxing dip in the Maquinit Hot Spring is another appealing option for hikers looking to soothe tired muscles after the climb. Club Paradise Palawan offers a more earthy, secluded expedition: Trek Dimakya Island’s hiking trail all the way to Eagle’s Point, the island’s highest area. 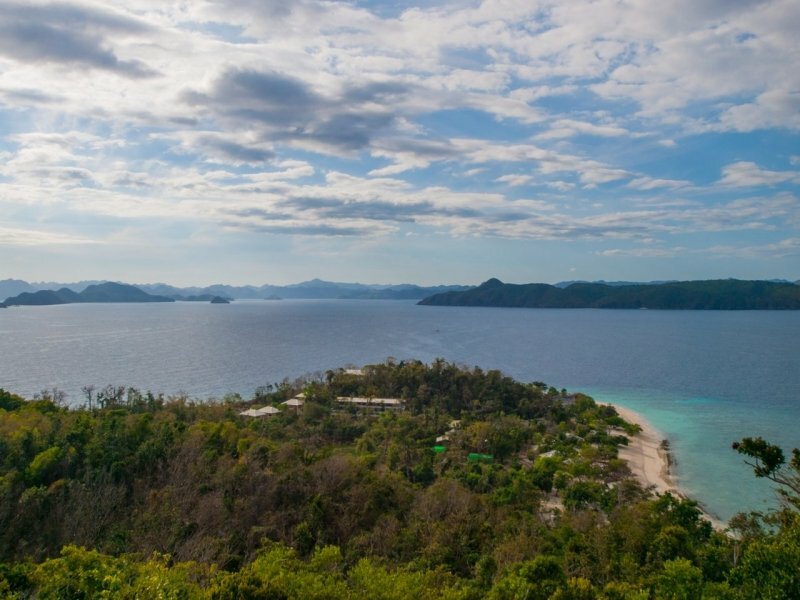 It overlooks Club Paradise Palawan and gives tourists the chance to see Coron’s islets from afar. Island-hopping is a staple in any Palawan itinerary. Each area has its own claim to fame, with every stop just as memorable as the previous island. 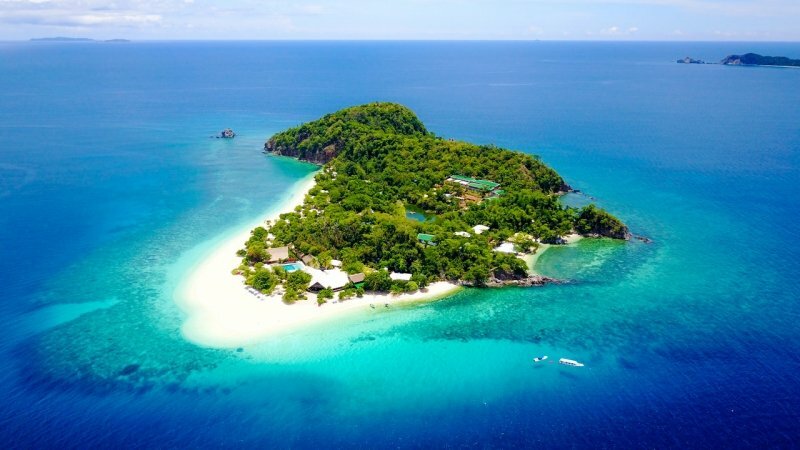 Club Paradise Palawan offers an excursion to three private islands: Dimalanta, Malpagalen, and Diatoy. Or you can book a Coron Island Tour and spend the day seeing all of the area’s tourist hotspots. 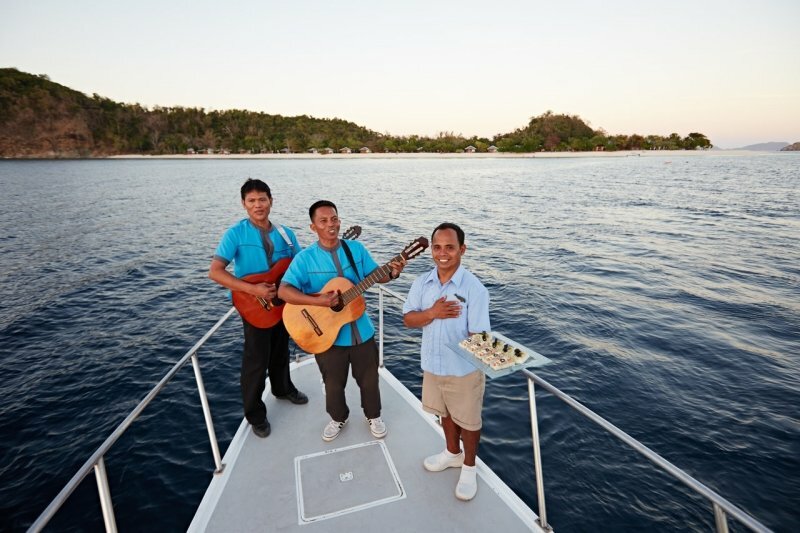 Most tour operators in Coron will give you the option of having a sumptuous meal while island-hopping. An adventure topped with a spread courtesy of the sea’s bounty? That’s definitely something you say yes to. Take all that and combine it with the signature Filipino hospitality, and you’re in for an unforgettable retreat in the tropics. 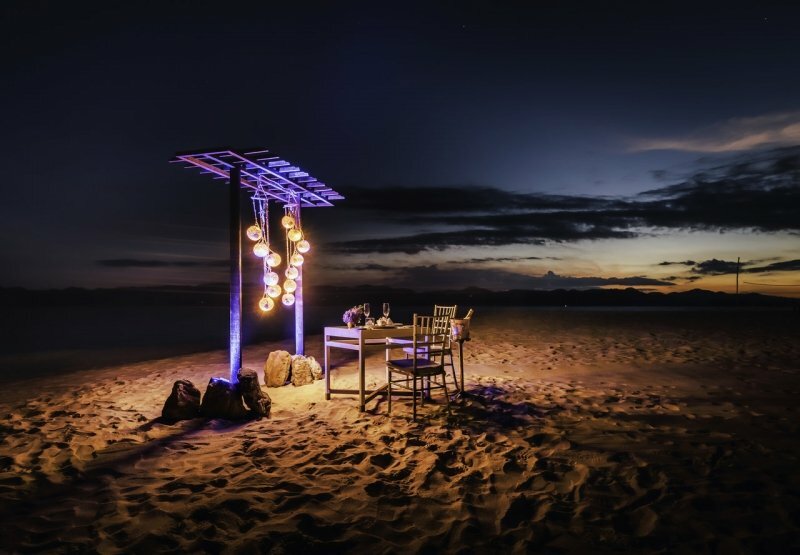 If you’re travelling with your special someone, then maybe you can let Club Paradise Palawan arrange a moonlit seaside dinner for two. You can always take a leisurely stroll around Coron. You get some light cardio going, plus you’re treated to picture-perfect scenery. But in the case of Club Paradise Palawan, there are 700 metres of fine, white sand coupled with a breathtaking shoreline that’s open to guests. Walking the entire stretch must be such an exhilarating experience. On days when you’re feeling more adventurous, take a resort map and uncover hidden beaches within the vicinity. 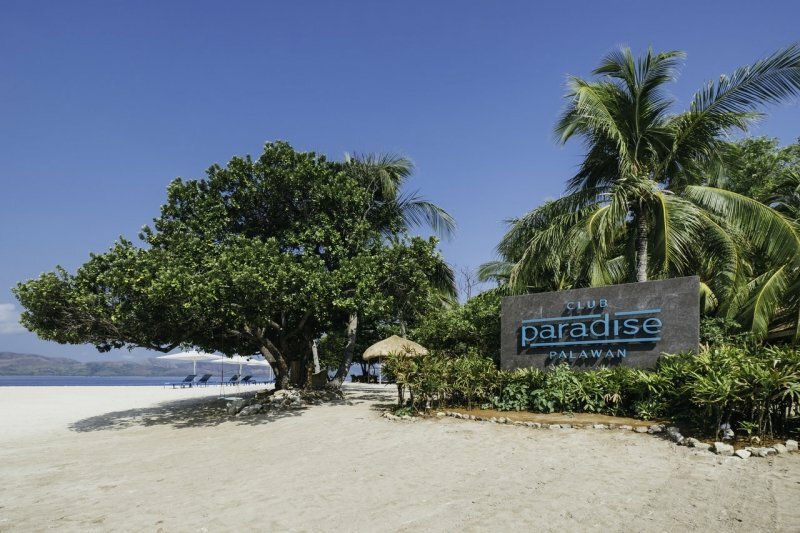 Different resorts have different amenities, but in Club Paradise Palawan, you have access to a spa, a swimming pool, a gym, a hiking trail, a diving shop, and several beaches. Its Glow Spa is famous for its signature treatment called Four Hands. Picture this: two massage therapists using synchronised pressure to relieve you of your aches and revitalise your body. Club Paradise Palawan also m akes it easy to go on a food trip that’s both healthy and filling. 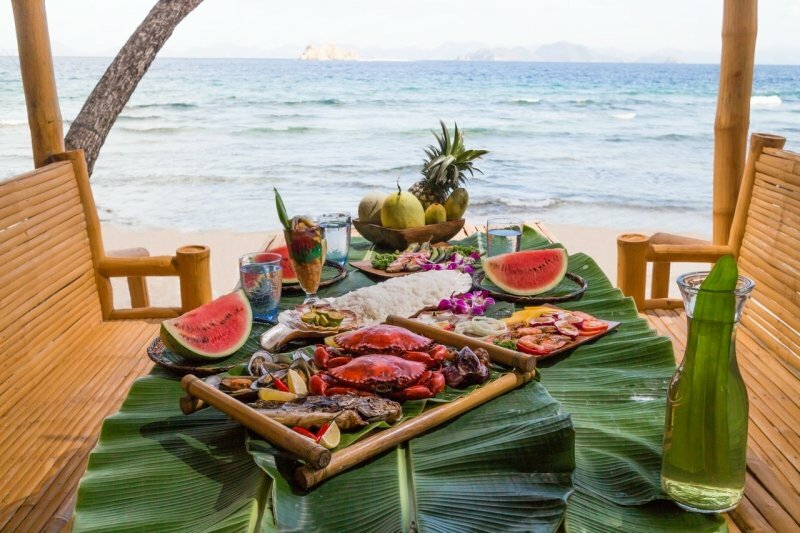 Its in-house dining place, Firefish Restaurant, serves fresh seafood made more flavourful by spices and herbs organically grown in the resort’s garden. You can also grab a drink with your companions at any of its three bars — Dugong Bar, Shack Bar, and Sand Bar. While Coron isn’t as crowded as Puerto Princesa, it would still do well to book in advance. Nobody likes cancelling plans because of slots lost to last minute reservations. That’s such a bummer. You can DIY everything and you’ll still have a great time for sure. But there’s something so freeing about opting for a hotel that takes care of everything. If you’re aching for some solid R&R in Coron, do yourself a favour and leave added reservations and bookings to a resort that’s dependable. Club Paradise Palawan will gladly be of service. Locals know where to go for good grub and the best souvenirs. Assign days for eating what the locals eat and doing what the locals do. If you’re looking for something more affordable and laid-back, make friends with some Palaweños and ask for recommendations. A tropical paradise comes with tropical weather, which means you should be ready for the sweltering heat and torrential rains. But on most days, the weather is perfect for lazing around and walking endlessly in Coron. Be sure to dress comfortably, and always bring an extra shirt. You never know where you’ll find yourself at the end of the day. We don’t even have to tell you this because it comes with the territory of being surrounded by nature. Make sure you have sunblock and insect repellent with you at all times. 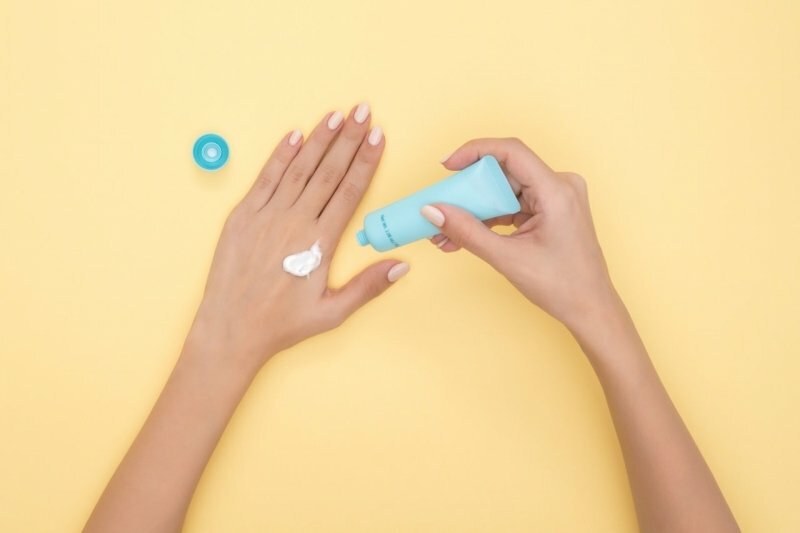 Plus points if your sunblock is reef-safe and your insect repellent is made of natural extracts. You’re in a UNESCO protected area, after all. 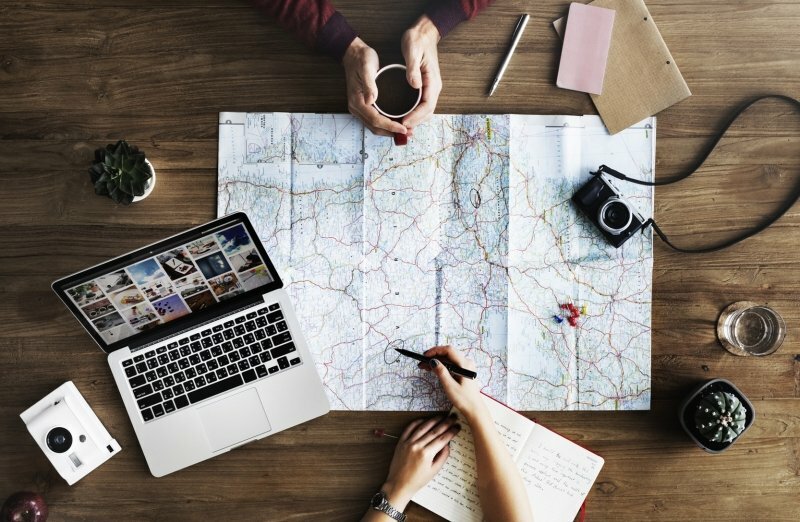 This piece of advice goes to all travellers out there, no matter the destination. You can always get cheaper flights if you come across a seat sale. You know the drill. Some travel junkies are well aware that the Philippines is perfect for getaways, short or long. 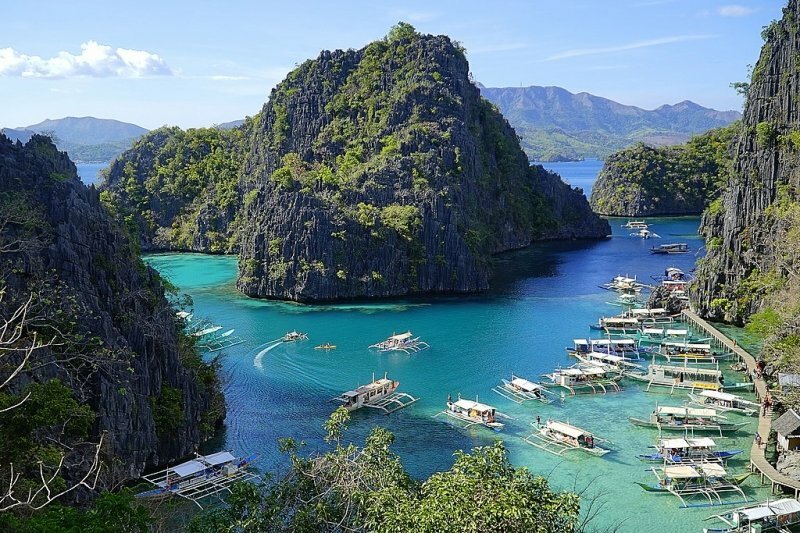 For Filipinos, Palawan is a popular vacation spot. 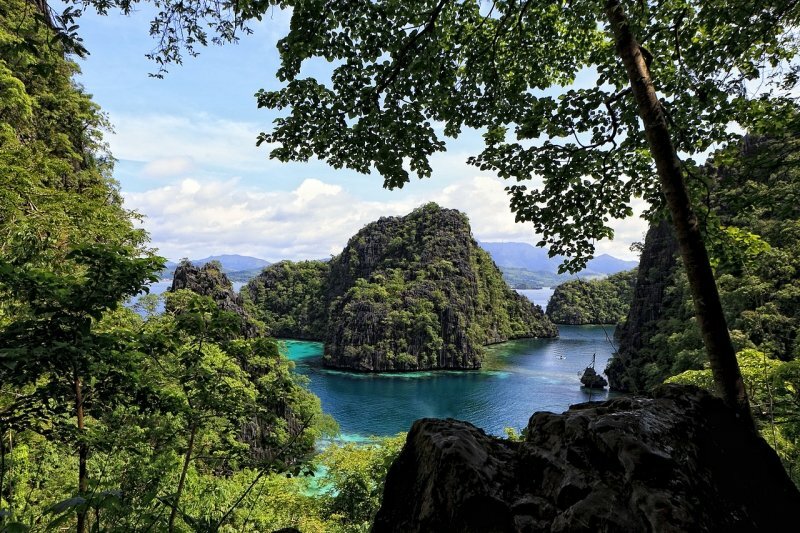 But even Condé Nast Traveler has noted that “shockingly, Palawan remains under the radar.” After all, compared to foreign counterparts that have long been branded as among the world’s top beach destinations, Coron is still a hidden gem. So what are you waiting for? Book that trip and see what is perhaps the Pearl of the Orient’s best-kept secret. Brought to you by Club Paradise Palawan.